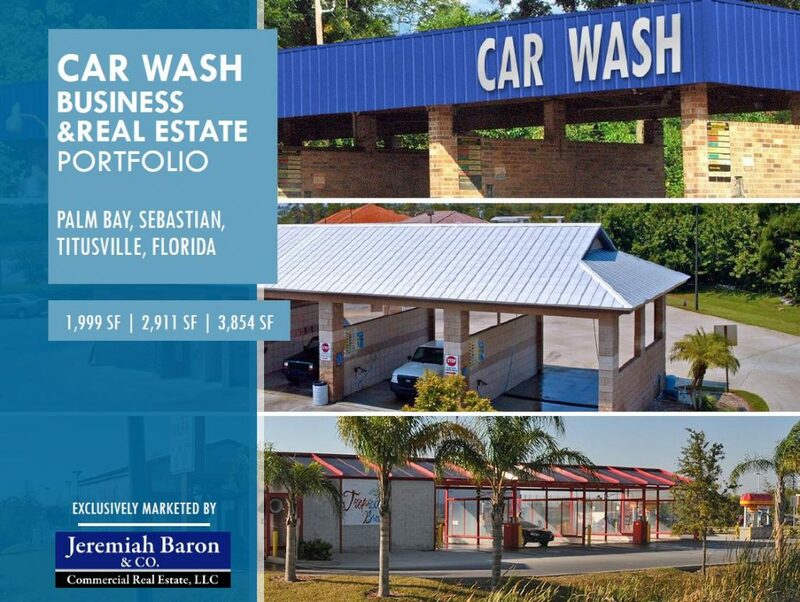 Exceptional opportunity to own a total of three fully operational car wash businesses located in Titusville, Palm Bay, and Sebastian, Florida. Each car wash property consist of a mixture of automated and self service stalls with steady cash flow and minimal inventory requirements. The combined car wash businesses net an estimated $500,000 annually. All properties are centrally located to an populated retail trade area as well as dense residential communities.